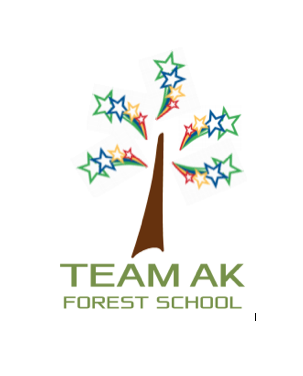 We would like to share with you our AK school prayer. It has thoughtfully been re-written by Worship Council alongside Reverend Shirley and Foundation Governor Mr David Tarr. Thank you for our friends and our whole school family. Help us all to work and learn together, to do our best at all times and to respect and help others. Bless everyone who comes to, or works at, our school. 2018-19 Worship Council members are: Elvin, Eva, Lizzie, Robyn, Kayleigh, William, Matilda, Anna, Rebecca, Emily, Esme, Phoebe, Aimee, Tom, Jessica and Alice. Worship Council is three years old this year! 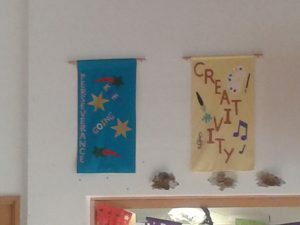 We are now made up of children from Year 4, 5 and 6. For Worship Council 2016-2017 we have 9 members: Oliver, Tilly, Lucas, Teddy, Freya, Elliot, Matilda, Ruby and Oliver. 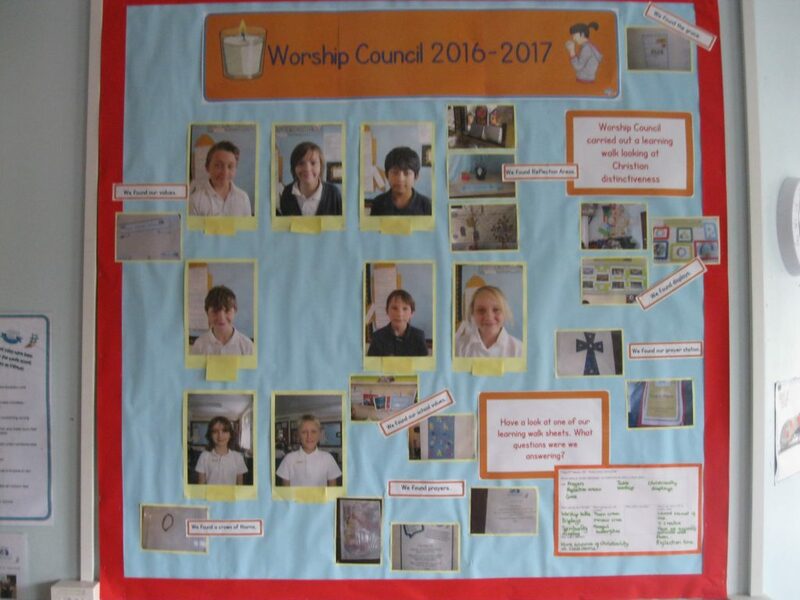 Worship Council’s role is to lead collective worships, monitor collective worship and help promote reflection and collective worship around the school. What does Worship Council do? We regularly meet with Miss Thomas and Reverend Shirley to carry out learning walks and to monitor our schools Christian Distinctiveness. We help to give feedback and ideas to the pupils, staff and Governors to help make our Collective Worship times extra special. We also organise the planning and performances of acts of worship. One of the new things we have done this year is to help plan our Christingle service which takes place on the first Sunday in December in Holy Cross Church. 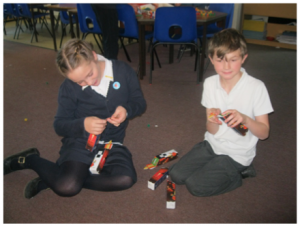 We organised a Collective Worship to explain what Christingle meant and the work of The Children’s Society. We made up the money collection pots for The Children’s Society (all 200!) and delivered them around all the classes. We have discussed with Rev. Shirley how we want the service to run and have already written the TSP prayer we are going to use at the end of the service. Here are Worship Council’s definitions of these values and ways in which we can show them. Trust is to believe that someone or something is good or truthful. Perseverance is keeping going even when it is hard. It’s having the mental strength to tell you brain to keep going. Creativity is setting your brain and imagination free for ideas. This term the Worship Council is watching and evaluating our collective worship. Today we watched a whole school assembly about peace and how we can show peace towards one another in school. 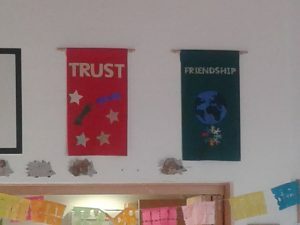 the pictures and images used to show peace. the way everyone was made to feel included. the time we had to think about questions and feelings. the fact it was fun and educational. Our value this term is friendship. Our Worship Council assembly this term was about looking after our friends. We told the school the story of when Peter denied Jesus three times. We thought about how we need to care for our friends. Have a look at the prayer we wrote and the powerpoint we made. When we don’t know what to do: Please help us. When we let our friends down: Please help us. 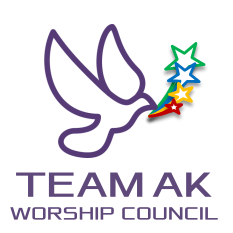 2014/15 Worship Council members are; Kit, Toby, Andrew, Jemima, Poppy and Lorelei. This week Worship Council prepared an assembly all about Send My Friend To School. This campaign hopes to remind world leaders’ of their promise to get every child in school by 2015. We asked every class in the school to make world leaders out of card which we could send to 10 Downing Street. Once everybody has finished making them we will put a picture of them here. If you want to find out more, have a look at the powerpoint. This week we looked at planting hope’ in our Worship Council assembly. we told the story of Dr Barnadoes and how we helped others. 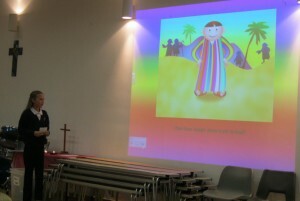 Have a look at our powerpoint about Joseph. Read our prayer about our value for this term. AKPS & Community Window Wanderland 22nd March 5:30 p.m.